Mark Creery is one the leading wedding photographers in Fort Collins and knows great spots for wedding and engagement photos in Fort Collins. 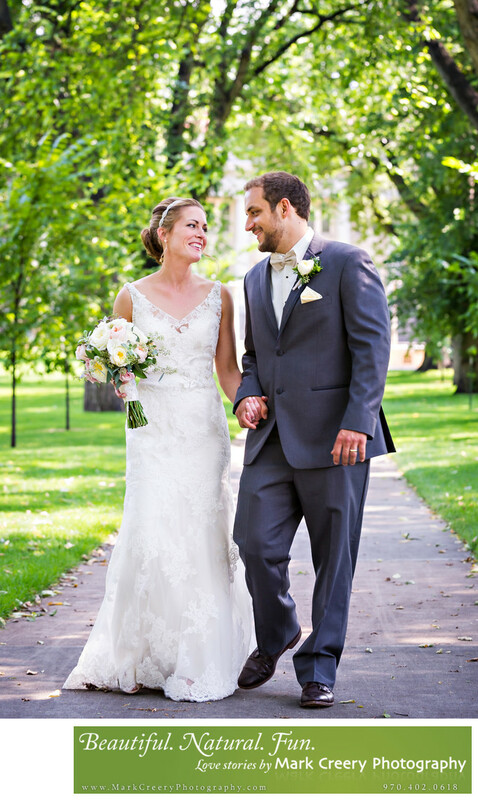 In this image the couple took their wedding photos at the CSU Oval to take advantage of the shade on a hot August wedding day and used the majestic elm trees as a backdrop. The couple finished their day at the Armstrong Hotel. Location: The Armstrong Hotel, Fort Collins, Colorado.